I don’t know about you, but I love this short video segments from on board during this year’s Volvo Ocean Race. Thanks to Life at the Extreme and Volvo Ocean Race we get a taste of what it’s like to be on the boat and in the race ourselves. 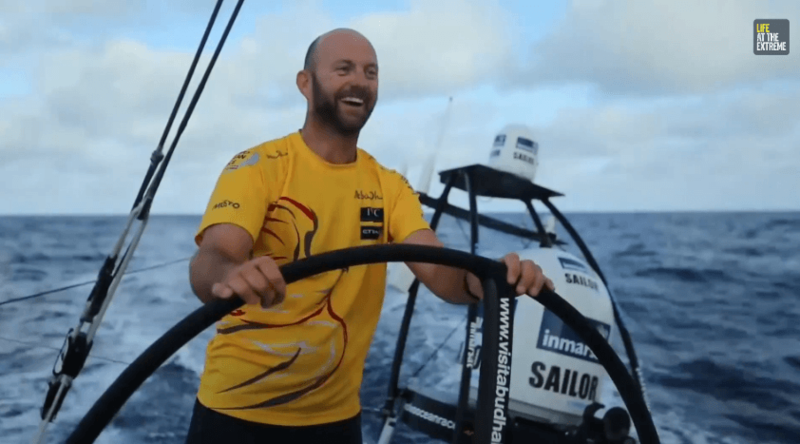 In this video, Ian Walker, skipper of the Abu Dhabi Ocean Racing team, shares a bit about what it’s like crossing the Doldrums around the Equator in the Volvo Ocean Race this year. Enjoy!